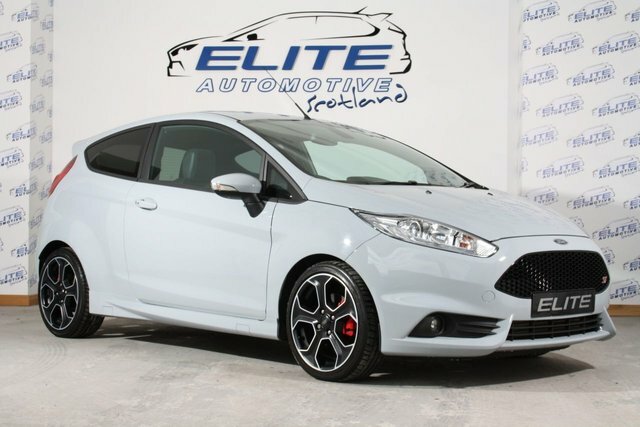 Elite are delighted to offer to the market this stunning Fiesta ST200 finished in Storm Grey with Full Service History and only 10000 miles on the clock! This run out limited edition has extra power (200BHP) over the standard ST Fiesta's which further improves the performance of an already exceptionally capable Hot Hatch. The gear ratios and final drive have been shortened by around 15 per cent on this model to give punchier acceleration, which helps to drop the 0-62mph figure to 6.7 second, down from 6.9. The top speed creeps up to 143mph from 139mph over the normal ST. These cars are becoming extremely hard to get hold of especially in this outstanding condition - CALL TODAY TO ARRANGE A TEST DRIVE! !